Soon after, we learned that the Farmer’s Home Administration had a rural housing program with 1% interest loans for low and moderate income people. She qualified. 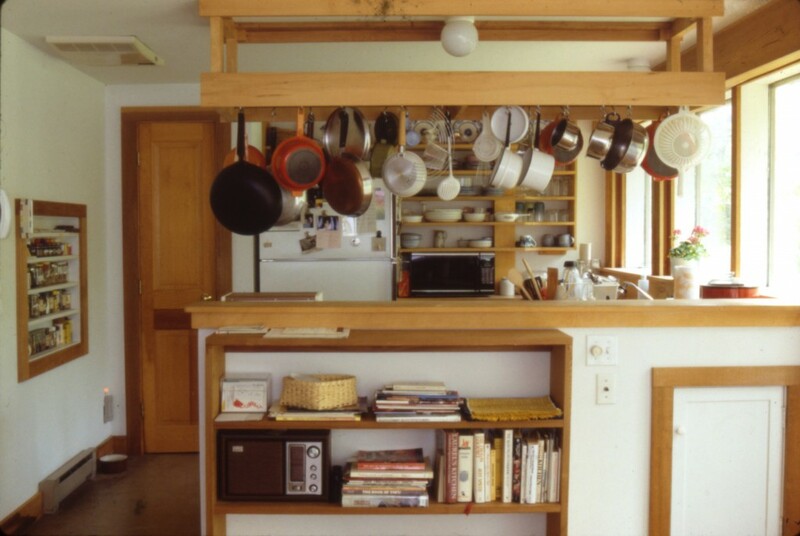 Would they finance a passive solar earth-integrated house for Madeline? We completed plans, submitted them to Farmer’s Home and requested that they raise the mortgage limit from $40,000 to $48,000 due to the promise of carefully analyzed and documented energy savings. After extensive bureaucratic wrangling the increase was approved. The house was built (we learned!). Madeline’s dream was realized. She and her dog moved in and lived there for many years. In a state of rapture. In 2010 she died, and and within her very small estate were two bequests to SMCo, one to do an educational solar demonstration (which, I am embarrassed to say, we’re still working on – that’s a long story that I’ll tell when it’s finally done) and one to do something for affordable housing on the Vineyard. The size of the affordable housing bequest did not allow us to actually build anything, so we decided to use it for design: to create several ready-to-build home designs to be made available free-of-charge to first time homeowners and housing organizations. 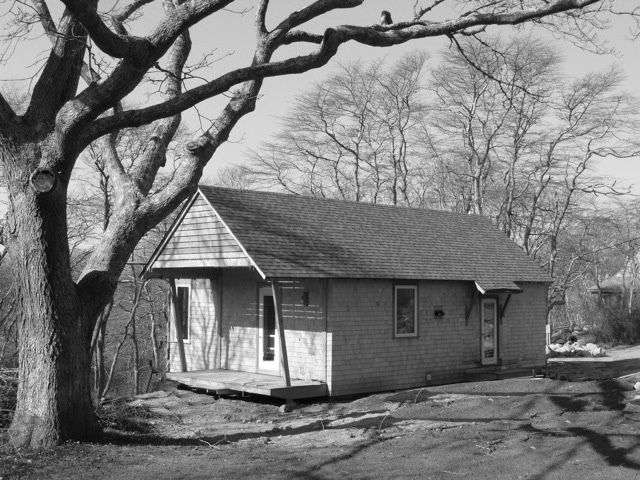 The objective was to fill the need for high performance, high quality, exceptionally well designed homes that can be affordably built on Martha’s Vineyard, without such houses having to be custom-designed each time. It was to be our modest contribution – our local piece – of the remarkable efforts that are happening today to match quality, performance, and affordability in modular homes (like BrightBuilt Homes) and panelized homes (like Unity Homes). Our version would be stick-built. In honor of Madeline, we abbreviated her name, and the project became known as M-line Homes. Clean, comfortable and timeless aesthetics. We developed concepts. One of our SMCo Architects, Matt Coffey. took the lead. 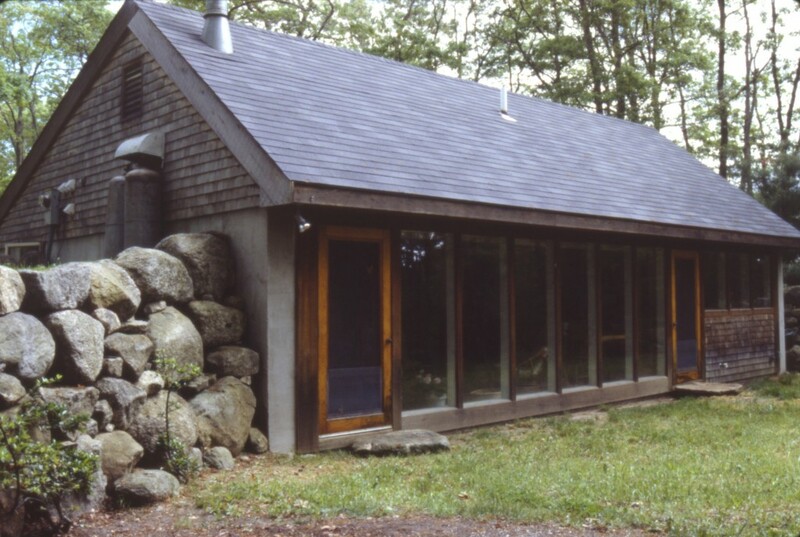 The first home built in this program was two stories with three bedrooms, located on a sloping site with a tight building envelope. 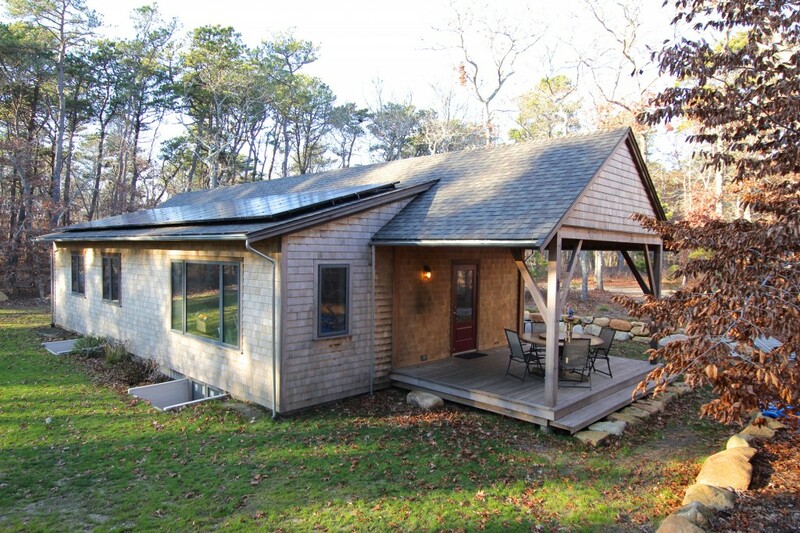 It was completed in April 2012 for a family in Aquinnah. Matt modified and expanded the plan into several iterations appropriate for varying site conditions. 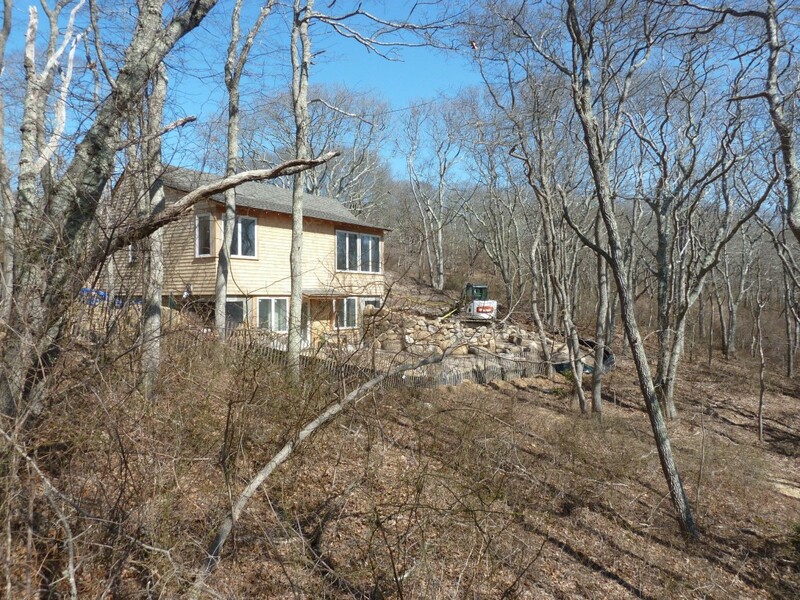 In the summer of 2012, the Island Housing Trust, our local land trust, held a design/build competition for two homes on a wooded lot in West Tisbury. 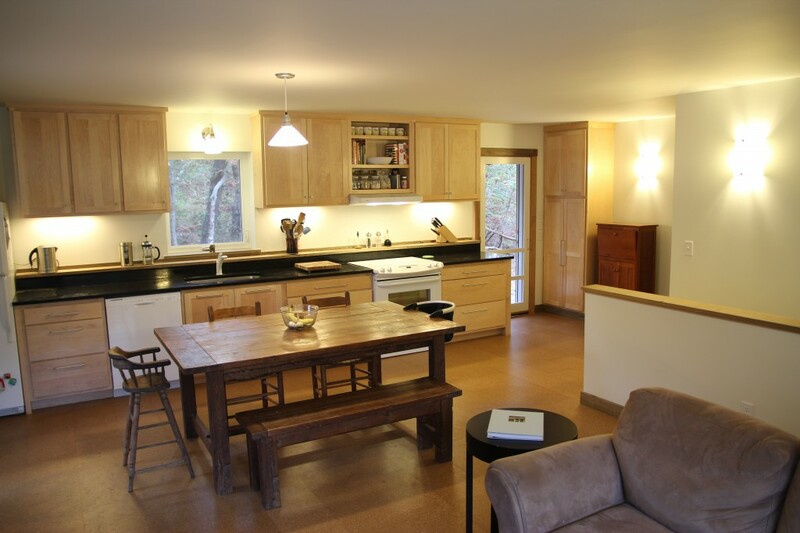 After submitting the winning entry, South Mountain had an opportunity to develop the design and build several of the one story, three-bedroom version of the M-Line Home. 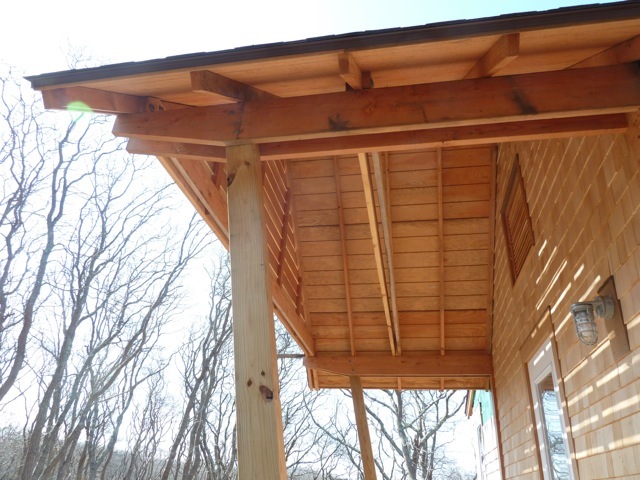 The fourth iteration was a modification for a previously existing foundation in West Tisbury and the fifth version was for my daughter Sophie. We are now beginning number six for an electrical contractor who does most of our electrical work. It’s a pleasure to watch the design evolve. Iterations have new aspirations. Slight changes have large impacts. The design is like a flowering vine – it keeps climbing and each bloom is different. Or like somebody’s tricked-out hobby truck; we keep tinkering to get it right or to fit the site or to fit the wishes of the latest owner/occupant. I wonder where M-Line’s next appearance will be. Want one? Or maybe more? Several people wrote to me and said that from time to time they are moved to respond to me, because they know me, but are not interested in public dialogue. I get it, and I appreciate. Thanks for that Anne. You’re pointing to a deficiency, I think, in the form of the communication, and the way people are led to respond by what they receive. Doing it as you suggest might cause more people to go to the blog, rather than just reading the e-mailed post and hitting “reply” (to me). So . . . we happen to be smack in the middle of the grueling task of re-designing and re-making our website and blog (hey what was wrong with those nice little static brochures 25 years ago??) and we will re-program the blog so it does just what Anne says!